▸ How do service contracts work? A LIFETIME Service contract can begin at any point during the lifetime of your lifting equipment. 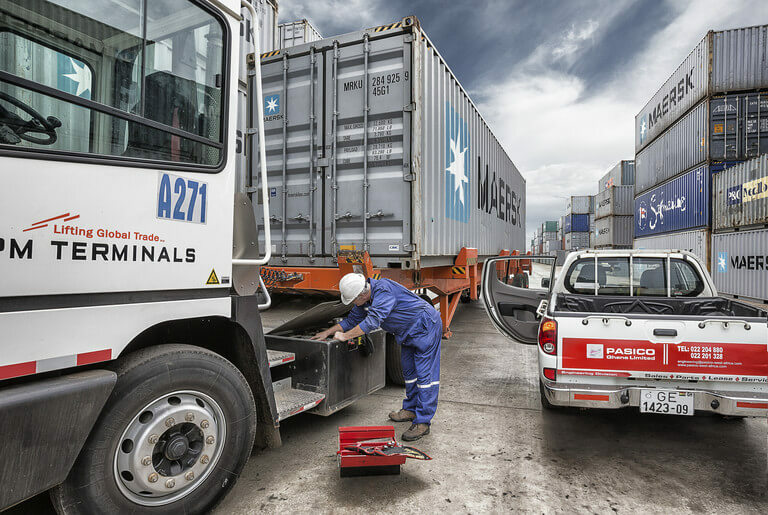 We will tailor an agreed blend of our service offerings, designed to suit your operations, into a service contract that meets your operational needs. For instance, if your primary business is not at all lifting related, you may need a full fleet management service, or if you have on-site engineers that can handle day-to-day maintenance then you may only need a Parts and Inspection contract. Either way a LIFETIME contract is the low-cost and manageable way to afford the service and maintenance your lifting equipment needs, while getting genuine parts, oils and lubricants and the skills of a factory-trained engineer. 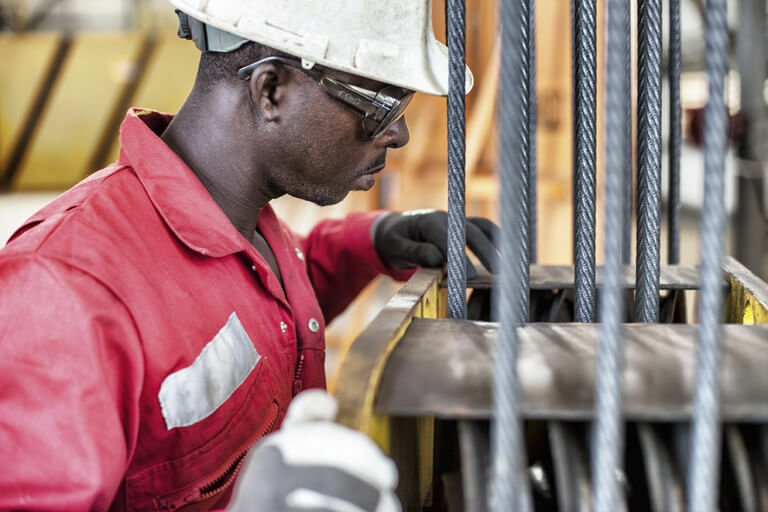 Our West African network of service hubs is ever expanding; and you can be assured that we have parts and engineers on the ground, where you need them through-out the region. Discounted pricing on all oils and lubricants used. Priority scheduling on emergency call-outs. Our factory-trained engineers regularly service your lifting equipment, according to the hours-based intervals and specifications of the manufacturer. We do this using genuine parts, genuine filters, approved lubricants and oils. Additionally, we check the main functions of the machine and provide you with a service report. LIFETIME Service is essential to protect your lifting equipment during the manufacturer's warranty period. For customers who want peace of mind but who are comfortable servicing their lifting equipment themselves, or who are situated in remote locations, we can schedule our experienced engineers for periodic inspections. They will conduct a detailed check of the major components of your lifting equipment then issue a comprehensive condition report, as well as safety, servicing and parts recommendations. Some lifting equipment can capture and log information over time; information such as machine movements, operator interventions, consumption data or even safety incidents. Lifting equipment that has this capability offers customers the chance to see how machines (and operators) have performed. 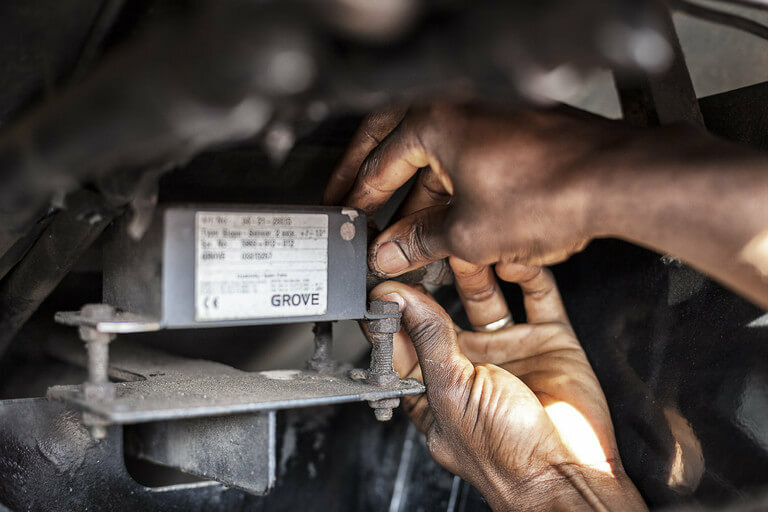 Our diagnostic engineers will inspect the machine, retrieve the complex information and present it back to you in a simple, easy-to-read report. 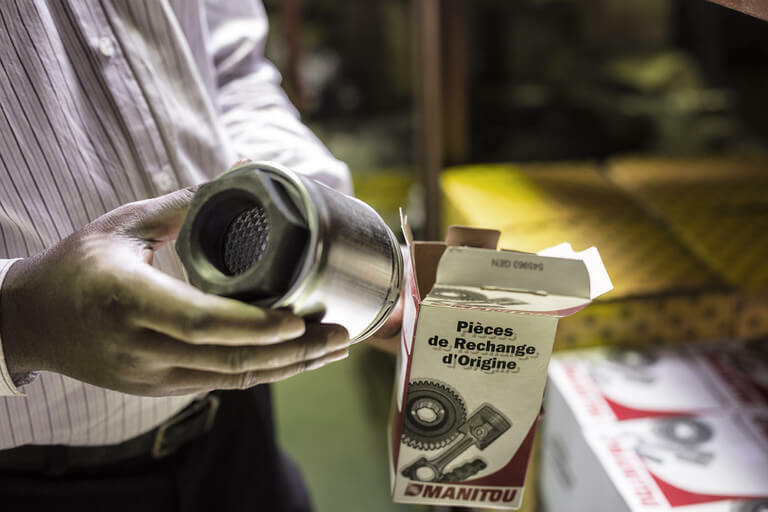 For customers who simply require a genuine parts solution specific to their needs, we offer genuine parts with supply and pricing agreements. Our parts warehouses in West Africa stock standard line items for quick delivery throughout the region. Through our UK parts head office we can supply directly from the manufacturers' stocks to your chosen destination. As lifting specialists we also offer a contract-based solution that allows managers and companies to outsource the technical supervision, day-to-day management and maintenance planning of their fleets to us. We will work alongside your existing technical teams to create a bespoke fleet management solution that suits your business. You can also combine this option with LIFETIME Service to provide a 100% outsourced solution. A LIFETIME Service contract can begin at any point during the lifetime of your lifting equipment. We will tailor a blend of our service offerings, designed to suit your operations. Your service contract will always meet your operational needs. If your primary business is not lifting related, you may need a full fleet management service. If you have on-site engineers that can handle day-to-day maintenance, then you may only need a Parts and Inspection contract. A LIFETIME contract is the low-cost and manageable way to afford the service and maintenance your lifting equipment needs. You are also guaranteed genuine parts, oils and lubricants and the skills of a factory-trained engineer. Our West African network of service hubs is ever expanding. You can be assured that we have parts and engineers on the ground, where you need them throughout the region. Our factory-trained crane engineers regularly service your lifting equipment. Services are done according to the hours-based intervals and specifications of the crane or lifting machinery manufacturer. We do this using genuine parts, genuine filters, approved lubricants and oils. Additionally, we check the main functions of the lifting machine and provide you with a service report. LIFETIME Service is essential to protect your lifting equipment during the manufacturer’s warranty period. Ideal for customers who want peace-of-mind, but who are comfortable servicing their cranes or lifting equipment themselves. This package also suits customers who are situated in remote locations. We schedule our experienced crane inspectors to visit your site, for all necessary inspections and certifications. We will conduct a detailed check of the major components of your lifting equipment then issue a comprehensive condition report. Included is also a safety, servicing and parts recommendation. Some cranes and lifting equipment can capture and log information over time. Diagnostics software captures information such as machine movements, operator interventions, consumption data or even safety incidents. Lifting equipment that has this capability offers customers the chance to see how machines (and operators) have performed. 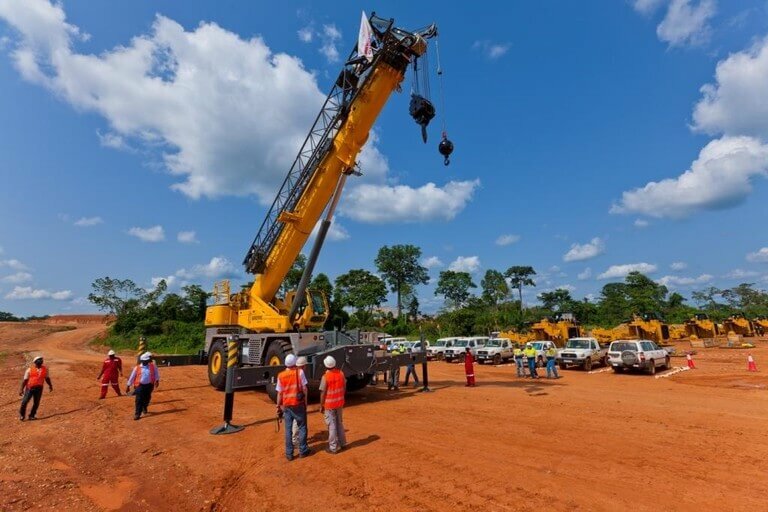 Our diagnostic crane engineers will inspect the lifting machine, retrieve the complex information and present it back to you in a simple, easy-to-read report. For customers who simply require a genuine parts solution specific to their lifting needs. This package offers genuine parts within a supply and pricing agreement. Our crane parts warehouses in West Africa stock standard line items for quick delivery throughout the region. Through our UK parts head office we can supply directly from the lifting manufacturers’ stocks to your chosen destination. 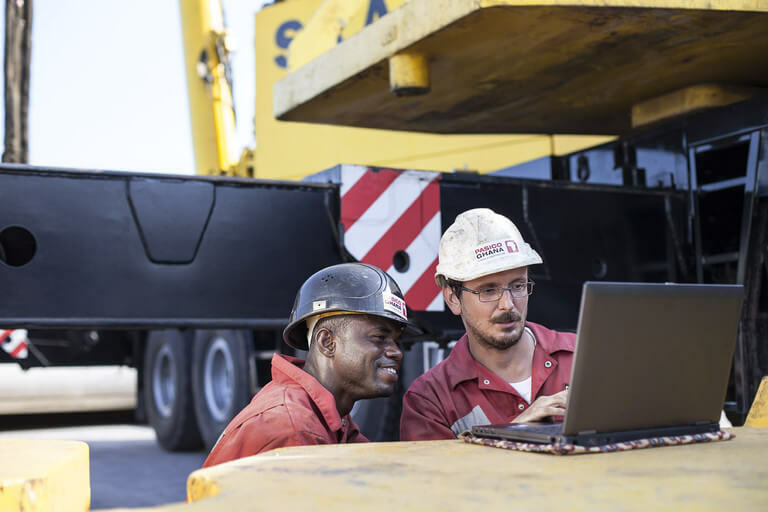 We also offer a contract-based solution that allows managers and companies to outsource the technical supervision, day-to-day management and maintenance planning of their lifting equipment fleets. We will work alongside your existing crane and technical teams to create a bespoke lifting fleet management solution that suits your business.